Available: In stock! Order now! Free Protection cover Case for both Pantone Formula guides. 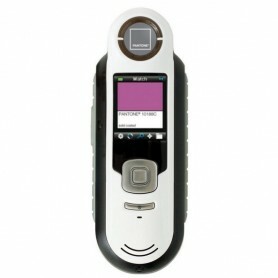 Older edition : GP1601 had 1,755 colors. The New Pantone Formula Guide Plus Series GP1601N released on 1st December, 2017 has a total of 1,867 colors, which is an addition of 112 new colors added to the old edition - GP1601. This paper product, Pantone Formula Guide has all the coated colors as well as uncoated colors [Solid Colors] included in the package which is divided into 2 Guides. One Guide has all the coated colors which have an initial of 'C' starting and the other guide has all colors which have an initial of 'U'. 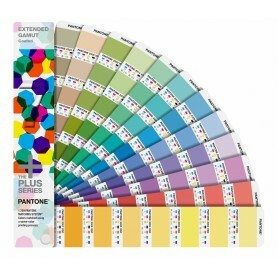 Over all the Pantone Color Chart has all the spot colors and Pantone PMS colours. This Pantone Color Formula Guide is used for upto 3 colours printing. Pantone Color Manager software which has all the color combinations and formulas are included with the Pantone Formula Guide set. They say color is the place where brain and universe meet. Colors play a chief role in the world in which we live. They can influence thinking, alter actions and trigger reactions. Hence, choosing the right color with the right shade and executing it appropriately in print media is crucial. For this reason, Pantone brings to you the Pantone Formula Guide. Grab one of the best-selling color formula guide in the world of creativity. Pantone Formula Guide is the best pantonecolor chart and a must-have tool for designers and professional involved in the business of color consulting and color intelligence. It is the enhanced and the latest version of the old edition GP1601. 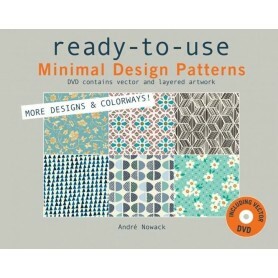 Readers can get inspired from the wide-range of 1,867 colours and fill the designs with the right colours. The colour palette comprises primary and accent colors which work smoothly with each other and can be used to create new brand colors or illustrations. 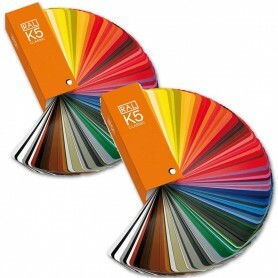 Buyers are offered more than the standard CMYK and RGB colors, hence it is one of the most preferred color-palettebook. Moreover, all the colours are printed on a substrate paper stock which is well-suited for printing purpose. Each color code in the guide comes with ink formulations as well as coordinating numbers, which helps to achieve the most accurate colour on printed materials. This is why it is the most trusted book on spot-color printing and branding. The formula guide is used in various industries including paper printing, chemical testing, plastics, and pharmaceuticals. All products are authentic and are supported by a network of PANTONE Licensees across the globe. 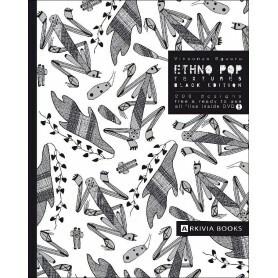 Includes colors in both coated as well as uncoated paper. The Pantone Coated guide contains the solid colors in a special coated format which look rich and brighter than the Pantone PMS colors in the Pantone Uncoated solid colors guide. The guide is portable and the FREE PROTECTION COVER offered by Design Info will secure the product against any damages such as dust and water. The Pantone Color Manager Software which was earlier to be purchased separately is now a part of the Pantone Solid Colors Guide to allow the designers to immediately proceed with color sampling. Summarising, the Pantone Color Formula Guide is one of the best Pantone color charts for pharmaceuticals, chemical testing, printing, paper printing, plastics, etc industries. The Solid colors present in this guide can be purchased in the chips format in the Pantone Solid Chips as well. 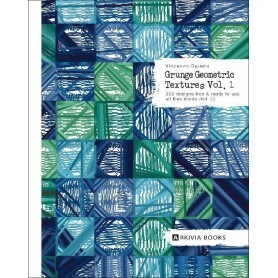 Buy Pantone Books without any hesitation from Design Info in India. This guide is important to match the colors in offset printing. I have been regularly updating my guides from Design Info and it seems to be fine. The formulas in the software help in the laboratory for prepartion of chemicals. Free Cover was quite useful. The product was received next day in Bangalore. Packaging was great and the product was original since the registration code worked perfectly. Karan, we appreciate your response. We make sure to deliver all our products by the next day to over 25 cities in India. The colors in this book have solid colors which are different from CMYK and RGB colors. We can produce much more from this product now. We are using this book for plastics, gives accuracy in color. This new product GP1601N will be available for dispatch on 12/03/2016. You may pre-book your orders now so that you can be the first person to procure the same. Yes, this product - GP1601N has 2 Guides. Each Guide has 1,867 Colors. 1st Guide has 1,867 'C' suffix colours and the 2nd Guide has 1,867 'u' suffix colors. Sir, We have sent you a quotation with the discounts via email. Please check and revert. Pantone Formula Guide is Latest and our stock is updated every 2 weeks. Will send an email to you shortly regarding the same. 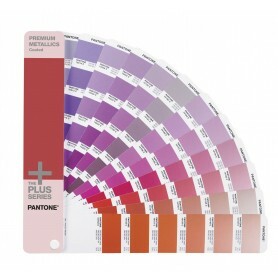 The Pantone Formula Guide is sold as Coated & Uncoated Set together only. Kindly drop in an email on sales@designinfo..in The product is ready in stock. Dear Jaya, this color is there in the Pantone Formula Guide Coated Book. Yes, these colors are available in the Pantone Formula Guide Book.